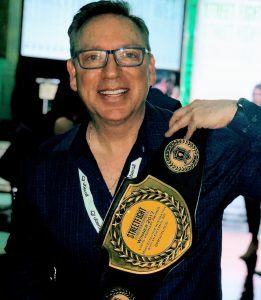 “This is particularly meaningful to us at SproutLoud, because we’re passionate about Small Business,” said Gary Ritkes, President of SproutLoud, who accepted the Street Fight Local Visionary Award on behalf of the company. SUNRISE, Fla., Feb. 1, 2018 /PRNewswire/ — SproutLoud, the recognized leader in Through-Channel Marketing Automation, won Street Fight Magazine’s Local Visionary Award for Most Effective Integration with an External API at the Street Fight Summit West in Los Angeles on January 30. Many local businesses today pour money into marketing without knowing which tactics have an impact on sales. 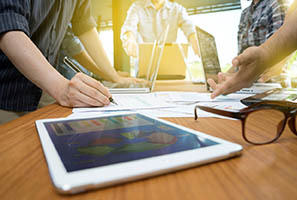 Call-tracking technology can offer much-needed insight, but the truth is that Local Business Owners don’t have the time or resources to create performance reporting on local marketing campaigns. SproutLoud met this challenge head-on by developing a way for Local Business Owners to easily order call-tracking numbers in real time while building customized local ads. Using innovative “tags,” Local Retailers receive performance metrics across every local marketing tactic they launch. Retailers can measure response rates, answer rates and call scoring — all from a single SaaS dashboard. Now, Local Business Owners can make data-driven decisions to improve local marketing ROI with the same precision as their Big Box competitors. 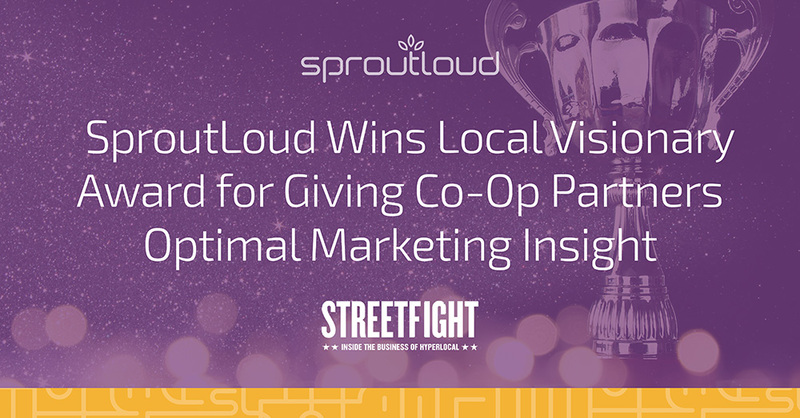 “This award confirms SproutLoud’s core belief – give Local Partners world-class marketing tools, and they will beat their competition,” said Jared Shusterman, CEO of SproutLoud. SproutLoud Disrupts Co-Op Marketing with Intelligent Funds Management Innovation is crucial in Partner Marketing. And SproutLoud's latest disruption is a game-changer. 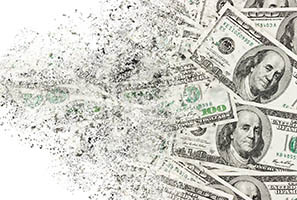 Is Your Channel Marketing Program Spending Money on All the Wrong Things? Year over year, Brand marketing teams face the challenge of doing more with less. And limited marketing budgets get pushed to the brink. SproutLoud is an innovative marketing technology company that is disrupting conventional Channel Marketing strategy. Our SaaS-based Channel Marketing Automation Platform delivers the software, service and support Brands need to more successfully sell their products through Local Partners. SproutLoud has one mission: Make Channel Marketing work better. We accomplish this by simplifying campaign execution, amplifying the power of your marketing spend with Intelligent Co-Op Funds Management, and accelerating Local Channel Sales.